When we first published our book, Weeding Out Wheat, we were attempting to answer a specific cross-section of skeptics: those who believe a gluten-free diet is both (1) unnecessary and (2) unbiblical. 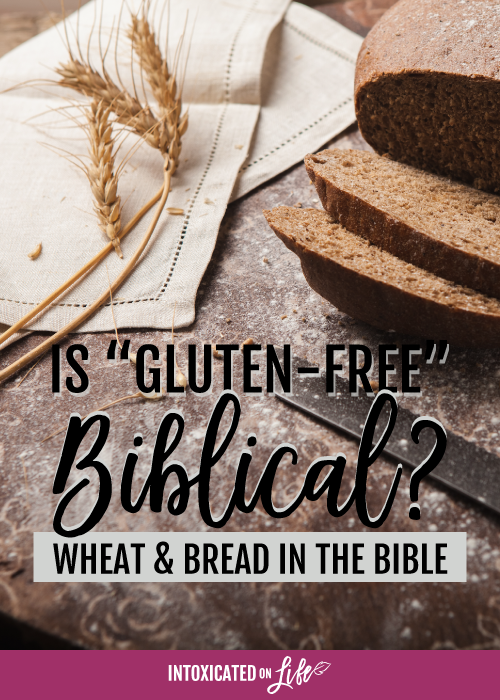 In this article, my hope is to address the second concern: since there is both wheat and bread in the Bible (spoken about in positive ways), how can a Christian defend a gluten-free diet? Now, I get that this might seem like an odd question. For most people, the question of whether gluten-free is “biblical” has never even entered their mind. But for others, the question is where their faith and their diet collide. First, let’s be clear what I mean by “gluten-free.” When people speak of “gluten-free” food, they are generally talking about foods that do not include gluten proteins from wheat and other similar grains like barley, spelt, and rye. 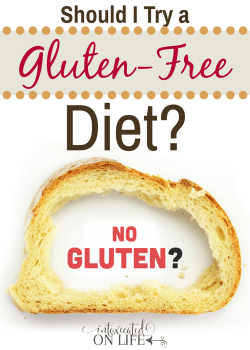 Most people who opt for a gluten-free diet do so for health reasons. Second, let’s be clear what I mean by “biblical.” For the purposes of this article, I am not asking whether the Bible endorses a gluten-free diet. It clearly does not: the Bible nowhere talks about gluten proteins. Rather, the question is: Does the Bible obligate us to treat wheat like a staple of life? Or putting it another way: Are those eating a wheat-free diet somehow out-of-step with the way God wants us to eat? What is the message behind wheat and bread in the Bible? Harvesting and threshing wheat was an annual event (Gen. 30:14; Ex. 34:22; Judges 6:11; 15:1; Ruth 1:22; 2:23; 1 Sam. 6:13; 12:17; 1 Chr. 21:20). A good wheat harvest and abundant bread was a sign of blessing (Ex. 23:25; Ps. 81:16; 147:14; Joel 2:24), while a poor wheat harvest was a sign of God’s curse (Jer. 12:13; Lam. 4:4; Joel 1:11). The Promised Land itself was celebrated as a land abundant in wheat and barley (Deut. 8:8). Wheat was a part of the regular commerce of ancient Israel (1 Kings 5:11; 2 Chr. 2:10; Amos 8:5-6), and bread was part of ordinary meals (Gen. 14:18; 25:34; 27:17; 37:25; 43:31; Ex. 16:3; 18:12). Wheat and bread were also a part of the religious life of Israel. A special bread called showbread was placed in the tabernacle at all times (Ex. 25:30; 35:13). Sheaves of wheat and baked bread were acceptable sacrifices to God (Ex. 29:2; Lev. 7:13; Num. 5:15; 1 Chr. 21:23; Ezek. 45:14). Passover specifically was a time when Israel was commanded to eat unleavened bread (Ex. 12:8). Following this the Feast of Unleavened Bread was celebrated for seven days (Ex. 13:6; 23:15; 34:18; Lev. 23:6; Deut. 16:3; Ezek. 45:21). On one occasion, God gave the prophet Ezekiel a recipe for bread, commanding him to eat bread made from wheat, barley, beans, lentils, millet, and emmer (Ez. 4:9). Jesus also ate bread during his life. On two occasions, Jesus miraculously multiplied loaves of bread into enough to feed thousands (Matt. 14:19; 15:36; Mark 6:41; 8:6; Luke 9:16; John 6:11). He taught his disciples to pray, “Give us this day our daily bread” (Matt. 6:11; Luke 11:3). He ate bread with his disciples even after his resurrection (Luke 24:30; John 21:9). He used bread during the Last Supper to speak of his body (Matt. 26:26; Mark 14:22; Luke 22:19). He referred to himself as the “true bread” from heaven and “the bread of life” (John 6:32,48). So yes, as far as bread in the Bible goes, bread was very important to the daily life of God’s people. A while back I wrote a piece called “10 Biblical Reasons We Should Appreciate Wine.” What I attempted to prove in that article was, if we take our cues from the Scriptures, our attitude about wine should be that it is a blessing from God. As much as wine can be abused (and it is), it is a blessing nonetheless, and our attitude ought to reflect that. What I was careful not to try to prove was that we should all personally drink wine or like wine. I was also careful to say there are biblically significant reasons to abstain from drinking wine from time to time, if wisdom calls for it. The same can be said of wheat and bread. Yes, the Bible speaks of wheat and bread as blessings from God. If we take our cues from Scripture, our attitude should be this: God gives food to His creatures to sustain them, and bread is one of these blessings. There are many today who hold to the idea of a “biblical diet.” Some believe that the reason why God describes and prescribes the eating of certain food (and forbids others) is because he was giving his people the “ideal diet.” This opinion comes in at least two varieties. Some believe a kosher diet was the optimal diet then and remains the optimal diet now. Others believe the kosher diet was optimal then, but since we’ve invented better preservation and preparation methods, the ideal diet today is broader than it was back then. We must remember, however, this is only an assumption some people bring to the text in the Bible. Nowhere in the Bible does God state that physical health is the reasoning behind a kosher diet. Please note: I’m not denying that a “Biblical diet” (in whatever form people practice it) is healthy. I’m only stating that we cannot demonstrate from the Bible that this was God’s MO for describing the eating practices of ancient Israel. The same can be said about bread. We cannot assume that God placed his people in a region ideal for growing wheat because he believed wheat was somehow an ideal food. There are more than 130 species of plant that grow in Israel, all of which are technically kosher, but are nonetheless toxic—even deadly. Just because it was kosher and available to eat in Israel did not mean it was also healthy. Is Biblical Wheat the Same as Wheat Today? In his book, Wheat Belly, cardiologist Dr. William Davis says we began intense crossbreeding of wheat decades ago in order to produce a higher-yielding crop. Breeders began crossing wheat with non-wheat grasses and induced mutations using chemicals, gamma rays, and high-dose X-rays. Dr. Davis says this “crossbreeding-on-crack” has significantly changed in the amino acids in wheat’s gluten proteins. This, he says, is why we have likely have seen a 400% increase in celiac disease over the past 40 years, an explosion in inflammatory diseases, and an increase in diabetes and obesity. Glia-α9, a gluten peptide nearly absent in older wheats but prevalent in modern wheats, is the most reactive celiac disease epitope. Add to this, since the mid-1960s—when these high-yield mutations were introduced—the mineral content of harvested wheat grains has decreased. Modern wheat is lower in minerals like zinc, magnesium, iron, copper, and selenium. Even individuals who are purchasing and grinding their own wheat berries are still consuming wheat that is vastly different than what is found in the Bible. In short, even if someone wanted to follow a “biblical diet,” this does not mean that modern wheat is on the menu. Jesus never ate the mutated variety we eat today. Undoubtedly, the question of taking Communion (also called the Eucharist) is of great concern for those who do not eat gluten. Taking the Lord’s Supper is one of the most common and celebrated sacraments of the church. Christ himself told his disciples to break bread in remembrance of him (1 Cor. 11:24). If there ever was an endorsement of bread in the Bible, this would be it. But the following observation is worth noting: No directions are given by Jesus about the type of bread we should eat. It is true the Passover bread was probably made from wheat flour, as was common for unleavened bread (Ex. 29:2). The early church actually got into disputes about the “right way” to serve communion bread. Think about it: how close to the bread Jesus ate do we need to get? How far do we take it? Maybe we think the bread ought to be unleavened to keep with the Biblical picture of Passover and of being an “unleavened” (pure) people (1 Cor. 5:7-8). But what about beyond that? Should we require all grain for communion bread be grown in Israel? Should we require the bread be made by hand? Should we require the bread be made from einkorn wheat, like the variety grown in ancient Israel? Should we require it not be genetically altered (good luck there)? You can easily see how absurd this becomes when taken to the nth degree. The point is churches can celebrate communion without using bread made from wheat and still be faithful to the Lord’s command. The Bible speaks of bread and wheat as blessings, and as far as ancient Israel is concerned, they most certainly were. We should not make the interpretive mistake saying that because God planted his holy nation in an areas where wheat could be grown that he therefore is endorsing the eating of wheat for all people everywhere. Just as wine is a blessing, but this does not mean God obligates us to drink it, so bread is a blessing, but we are not obligated to eat it. Modern wheat is not the same as the wheat Jesus consumed. Communion bread can be made from a wide variety of grains and other substances. Perhaps you agree with me on these points. Perhaps you differ with me. Either way, I’d love to hear from you. And regardless, we can all stand on the same truths that the kingdom of God is not about what we eat or drink (Rom. 14:17). “Man does not live by bread alone, but man lives by every word that comes from the mouth of the Lord” (Deut. 8:3). When our family went wheat-free, we had many questions from friends and family. This is the heart behind our book, Weeding Out Wheat. In the book you’ll learn more about the harmful effects of wheat on the body based on current medical research. You’ll also learn about how, as Christians, we’ve reconciled our wheat-free lifestyles while reading a bread-filled Bible. Sharing at Pam’s Party & Practical Tips. To add to what you’ve said, the wheat consumed in ancient times would have sprouted over the course of several days while standing in sheaves in the field as the workers would have taken several days to harvest a field of grain by hand. Even modern GM grain that has sprouted is many times healthier and more digestible than non sprouted grain. From what I’ve read & researched, sour dough (wild yeasts along with other beneficial bacteria) was the most probable leaven used in biblical times. in the multi-day process of leavening sour dough, the bacteria and wild yeasts consume much of the gluten in the wheat and also make it more digestible. Yep 🙂 I grew up with bread & grains as the basis for my diet, I couldn’t completely give up bread so Sourdough is a great option for me! I am with Theresa here. Actually there are studies done that have found that the gluten can be completely eliminated if they flour is soaked in the sourdough medium long enough. I know of someone with a celiac son who soaks her grains 48-72 hours and then bakes it and she tolerates this really well. From my research the bakers yeast is one of our problems almost as much as the gluten. So I too am a convinced sourdough baker. And many of the gluten free breads don’t have much nutrition in them- many commercial ones are all starch. Excellent article though aside from that one disagreement with you. I know of 2 such studies that have claimed that you can eliminate the gluten by soaking wheat, but both studies were very poorly designed. They also had very very small test groups, one trial had just 6 subjects and another study had only 13 subjects divided into 3 different trial groups. Another issue is that these studies used breads that were prepared in ways that could not be replicated at home. This is just the beginning of the problems. One thing I really try to emphasize to people is, even if your gastro-intestinal system can tolerate the wheat, it doesn’t mean it’s not doing damage elsewhere. Celiac is just one symptom of gluten intolerance. These studies don’t speak at all to long term health, only that in the short term there were a few people who could tolerate the bread. Maybe a person with gluten intolerance CAN tolerate soaked sourdough bread, but it’s very possible the proteins in wheat are wrecking havoc elsewhere in their body and that long-term damage may come to fruition later in life. A few other things I’d like to note: 1) Most studies confirm that you can not completely eliminate the gluten in the bread via soaking. Though, it is broken down some and there is less gluten in the bread, it is not eliminated. 2)There are other problematic proteins in wheat… like phytate. Phytate is not destroyed from soaking wheat at all. I am not trying to be argumentative, but I am very concerned about people who KNOW they have a problem with wheat and try to add it back. I think they need to consider the serious implications this could have on their long-term health. For those who have made reference to studies, could you please provide either the URL or publication in which they were reported? Since my wife has posted this comment, we have found three studies that address celiac patients’ tolerance of sourdough bread. The first is called “Safety for Patients With Celiac Disease of Baked Goods Made of Wheat Flour Hydrolyzed During Food Processing,” published in Clinical Gastroenterology and Hepatology. The second is, “Gluten-free Sourdough Wheat Baked Goods Appear Safe for Young Celiac Patients: A Pilot Study,” from the Journal of Pediatric Gastroenterology & Nutrition. The third is, “Sourdough Bread Made from Wheat and Nontoxic Flours and Started with Selected Lactobacilli Is Tolerated in Celiac Sprue Patients,” from Applied Environmental Microbiology. I can get you more complete references if you need them. • The first thing to note about these studies is that they used a very small sample size—just 5, 8, and 17 subjects in each of the studies. This is hardly enough to base global recommendations upon for everyone suffering from gluten intolerance or celiac disease. • The type of sourdough used in these lab studies would be impossible to replicate in your own home. This bread was created in a lab under very specific conditions, with very specific procedures, and it underwent much testing prior to consumption. • There have been no long-term studies to determine long lasting implications. These studies only looked at immediate acute intestinal response. • Our biggest concern about these studies is what they don’t prove. We’d argue there is much more at risk than simply gastrointestinal distress when eating wheat and other grains. Our previous chapters outline these potential problems. Interesting post, and very well presented. I’ve long shunned the gluten-free fad as just that- a fad, no different from the low-carb fad of about 10 years ago and the low-/no-fat fad 20 years ago. I’ve always thought people should think about how wheat & bread have been a part of people’s lives since the beginning, so deeming it “bad” now reeks of someone giving us another fad way of eating. How could something so widely used since the beginning of history be making us sick? Yet the points you present here about modern wheat certainly give me something to think about. One one hand, it makes sense. If it’s been so altered, then that’s a problem, and it’s certainly not the wheat of the Bible, nor even the wheat our great grandparents ate. On the other hand, critical analysis requires me to question what Dr. Davis has to gain from his claims. Is the “wheat belly” diet something he stands to make a profit from? Most likely it is, but to what degree has that influenced his claims about modern wheat? I thank you for putting this post together. It’s exactly what I needed to at least give me a starting point in seeing that there may actually be a real reason why (modern) wheat is potentially harmful. Great question. I doubt anyone thinks modern wheat is exactly the same as ancient wheat, and of course the health benefits or detriments of modern wheat are debatable. But as for the purposes of this article, I’ve talked to people who literally think “biblical wheat is God’s gift to man and it is a shame not to eat it.” I was hoping this detail would help make people think critically about the issue. My contention is regardless of the degree to which wheat has changed, we can see from the Bible that real bread and wheat is a blessing from God, but this does not make one required to eat it. Nor is eating wheat endorsed by God for any specific health reasons. Some mistakenly assume this as they read the Bible. As for Dr. Davis, I would wager that he stands to profit from the book and from people believing it. I’ve not read any evidence that Dr. Davis’ findings are incorrect. Certainly, his rhetoric of today’s wheat “isn’t even wheat” is, of course, only his opinion. Wheat is whatever we call wheat. His point is that there have been enough mutations that it is a very different plant than it used to be. It would be interesting for Dr Davis to address the use of vaccines as celiac disease and other intolerance are becoming more prevalent. The MMR and DPT vaccines put serious strains on the immune system to go looking for things to attack. The celia can easily become a target just as many bodily cells are attacked by an overstimulated immune system. Add gluten intense grains rather than the lower gluten grains like heritage hard red wheat and the system is getting attacked from all sides. If one stress is removed, the body often can tolerate other stresses. A bad gut means B vitamins are poorly absorbed leaving the nervous system and immune system in a weakened state. A perfect storm for trouble. 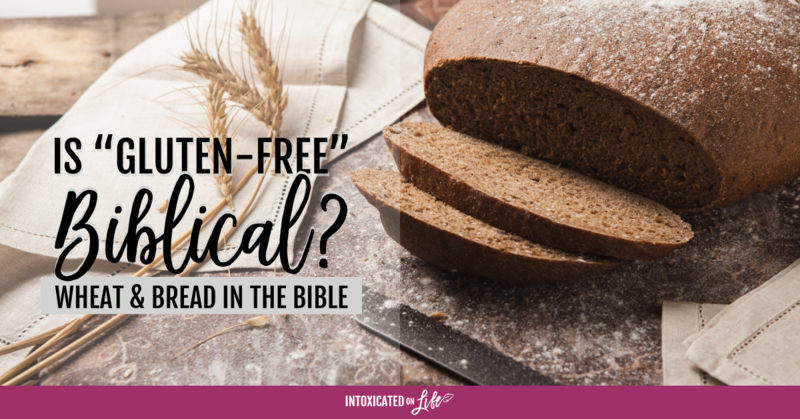 When I first started a gluten-free diet I had a conversation with someone who made the argument that a gluten-free diet was not Biblical and I was completely stunned! I’d never even considered that! Thank you for this post – it is very helpful. I’m so thankful for this article. I have health problems and have been searching for answers. For example, I found out that fungus (candida) thrives on sugar and carbohydrates, glutenous flour, etc. Then I was wondering why in the Bible bread was so important in the diet and what has changed that now bread gives health problems, then I found your very well explained article. Too bad man has tampered so much with food, even the food that before was healthy to eat. I appreciate your high esteem of God and His word, as it’s a slippery slope when individuals attempt to use the bible to promote a particular diet as God’s perfect diet for all of mankind to live by. We can obviously with common sense conclude that everything God has created to sustain us far exceeds any diet that is compromised of processed, refined and altered “foods” made by man. But as you articulated so well, this does not mean that we must consume every good gift He’s given us. He gives us wisdom and discernment for good reason, and for some, it is wise indeed to abstain from eating bread (or any other food or substance that causes personal harm). I believe the real issue isn’t WHAT we eat, but HOW / WHY we eat it? … What are the motivations of our heart? Our motivations are God’s greatest concern – who are we living for, who are we trusting in, what is our greatest desire … Is our heart motivated with a passion and love for living for God alone? Do we receive His blessings with thanksgiving to Him? Are we seeking to live a life that brings glory, honor and praise to Him? If so, our diet simply becomes just one small means of living a more nourished life so we can serve Him with all our hearts, minds, souls and strength in order to further His Kingdom. And instead of squabbling over what He wants us to eat (temporary sustainment), we’ll instead remain focused on what God is most concerned with – what nourishes the soul – His Word, as you so aptly concluded! I agree motivations are critical. Some who promote a gluten-free diet do so because they want to honor their bodies as the temple of the Spirit. Others do so because they’ve made physical health their god. We should always watch our motives. “So, whether you eat or drink, or whatever you do, do all to the glory of God” (1 Cor. 10:31). I find this interesting. “Breeders began crossing wheat with non-wheat grasses” Perhaps that right there is the problem. Lev. 19:19 says, “..you shall not sow your field with mixed seed..” Also Deut.22:9 gives another example of why we shouldn’t mix species/kinds (which is exactly what happens with GMO’s). If this is true and breeders were mixing wheat and other kinds of seeds (non-wheat seeds/grasses) then perhaps this is the result of disobeying the Lord? A case could certainly be made that GMOs are, in a sense, not kosher. Many kosher certifications that are placed on brands will not certify GMO food for the very reasons you mentioned. 1. For someone who wanted to eat only biblically “clean” food (in the Levitical sense), modern wheat could really be a problem. 2. For someone wanted to eat a “biblical” diet (in the sense of eating only foods regional to Israel), modern wheat is a problem. And for those who just want to eat for their health, my wife’s current blog series about eliminating wheat would be really good to read. – Should I Try a Gluten-Free Diet? I’m trying to eliminate wheat and other things that have gluten. I’ve heard some holistic doctors online say that gluten causes inflammation, the gluten protein looks like a hormone so the body treats it like a hormone cause havoc with your hormonal balance….in my case Graves Disease it’s an auto-immune response attacks the body, my thyroid. I have heard that gluten is in ice-cream, ketchup, soups, to make them thicker or creamier and probably so much more. Do you have a list of things that have gluten in them. And what is does not gluten. How about oatmeal, rye, or other grains? spelt? amaranth, etc. Thanks for the note. I would agree, wheat is inflammatory. I actually write some about that in this post. And yes, wheat is implicated in thyroid disease. Very well written. I believe with all of my heart that it does indeed matter to God what we eat. NO question about it. 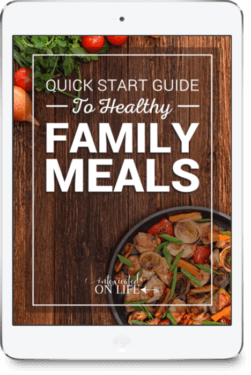 I have been on a real food journey for a few years now and I am amazed at how I can go to Him and ask which things I am learning are right for my family and which are crazy. He has not yet given me any pause on wheat. I read a lot about it and am still convinced that for now, we are fine with it. But we have given up a lot of things that at one time I was fine with. And we have adopted foods I once shunned. We all evolve at different rates at our own times. Might I share an interesting text with you. It is called the word of wisdom and guides the way we eat in our home…although we are not perfect. You may find this interesting. It is what we believe is modern day scripture…I know some think that is impossible, but with God, nothing is! Thanks for your beautifully researched post. Hi Janine! Thanks for your comment. I’m not at all claim that wheat-free or bread-free or grain-free is “endorsed” by God. The points of the post is to deny the claim that God is against wheat-free diets. The Mormon ‘word of wisdom’ specifically recommends eating of “grain” (as well as meat) and prohibits consumption of alcohol. So to follow it a Mormon wouldn’t need to ask their for a specific message wondering if wheat is ok; their prophet has already said it is ok. The key thing brought out in this article is whether there are other biblical principles at work that would cause the student of the Bible to adapt previous instruction to our current environment? Based on the material presented, is the answer “abstain from gluten?” or might it be “use Kamut” or “support local farmers using heirloom wheat varieties”. God provided foods to give peoples bodies what they need and to satisfy our tastes. Highly processed gluten-free foods might satisfy the latter criteria but not the former. You’re completely right, highly processed gluten-free foods won’t provide the nutrients that people need to nourish their bodies which is exactly the reason why we recommend that people stay away from what we call, “gluten-free junk food.” We’d recommend, rather, to replace grains with whole foods – nutrient dense proteins, fats, vegetables, and fruit. Just curious. Is there a way to buy grain (or bread) that has not been altered in any way…..a more true and pure grain? Or does it no longer exist? I have heard that Eikhorn wheat is an ancient variety and therefor much better for you and more easily digested. I’ve heard the same. Can’t say I’ve read much on the topic, but it does interest me. We have been using Einkorn for a few months now and love it! No problems at all and it works great for all recipes using flour. It would nice to try einkorn some time in the future. I’d love to see if there have been any medical tests done for those who use it. This isn’t a web site for mormons, is it? No, we are not mormons, we are Christians. Loved this article! My husband and I have had many discussions on this very subject, in particular when approaching the subject of what we call The Sacrament (which is very close to Communion). We (along with multiple GF members of our congregation) have been able to receive a gluten free bread blessed along side the traditional bread. It is a joy to us to participate in this holy ordinance. We have heard all the arguments as to why other Christian religions believe we are not Christian. But it comes down to what we believe in our hearts. We do talk of Christ, and testify of Him. We rejoice in Him daily. He is the only source we look to for the remission of sin. You have done a fabulous job of researching the topic of GF/biblical. Perhaps that same diligence could be given to researching the Christianity of “Mormons”. I think you will find that our thoughts are very much in line! Thanks for your reply. I completely understand what you’re saying. I’ve studied the Book of Mormon and the other scriptures of the LDS faith, so I am fairly well acquainted with what you’re talking about. The above comment is reflective of the fact that there are many Christians in the world that do not believe that Mormonism is a genuine expression of Christian belief. I’m sure this doesn’t come as a shock to you. It all depends on how one is using the word “Christian,” which can be defined a number of ways. Both Mormon and non-Mormon Christians believe that false prophets can and do arise to challenge the truth. And for many Christians, Joseph Smith (as well as the Prophets, Seers, and Revelators of the LDS church) should be considered false prophets. Obviously, you would disagree with this claim, but you can understand why someone who believes this of Joseph Smith, would not call his followers “Christians.” If a man arose today claiming to be a prophet of God but outright denied the teachings of Joseph Smith, I assume the LDS church wouldn’t hesitate to call such a person a false prophet. For many Christians, that is how they feel about Joseph Smith. Of course, the question of whether Joseph Smith was a true prophet is another topic altogether. I’m just trying to explain the basis of the above comment. Yes but you also add to and take away from His word which is a no no biblically. Modern water is not the same water as Jesus drank either. I say, if it is in your best interest to not eat wheat then don’t eat it. It is in my child’s best interest to not drink milk or eat beef so he does not get it in his diet although milk is mentioned in the bible. Right. Modern water is not the same. I’m not sure how that relates to the subject, but if you could explain, I’m all-ears. Just curious: Why is it in your child’s best interest not to eat beef or drink milk? I was just saying that modern water is not the same, as in the additions that are added. Even if you take faucet water and filter it through a Berkey or other filter, everything does not get filtered out. We don’t stop drinking water just because of the fact that it is not the same water Jesus drank. It is a staple of life. Nothing but mother’s milk can substitute and mother has to have that life giving water to make milk. In your conclusion above, it would seem to me that we should not drink water today on that basis that it is not the same as Jesus drank. It is in my child’s best interest not to eat beef or drink milk because he has a definite, true allergy and could be life threatening if he did so. The Bible does mention milk and honey (and we keep bees) but my son does not get milk and that is okay. I appreciate this post and thank you for it! I think you might be misunderstanding part of this post. I never said we shouldn’t eat wheat because it isn’t the same as the wheat in the Bible. I said we shouldn’t tell those who don’t eat wheat that they should eat it simply because wheat is given by God as a blessing. The point of the whole post is not to tell people what to eat, but to help people to realize: just because Scripture is filled with references to wheat being a blessing does not mean one is actually obligated to eat it. There’s a Christian contingent I the world that believes a wheat-free diet is actually unbiblical, and the point of the post is to deny that claim. Thanks for passing the video along to us! Interesting information. Oh, this is GREAT! I love reading others’ thoughts about this topic, and I especially love your biblical references, as well as your careful, walking the line balance. That said, I did an interview with a woman a few weeks ago who helped me better evaluate the Wheat Belly book. I think you’d appreciate it: you can find it here: http://www.biblicaleating.net/radio or http://youtu.be/khVSJB4iuY0 I’d LOVE to hear your thoughts after you take a listen. I am gluten intolerant. By that, I mean when I eat food containing gluten, I have major intestinal issues. I discovered gluten was the problem when I began an elimination diet about four years ago. I originally thought the problem was lactose. I discovered gluten intolerance can cause lactose intolerance, and once the gluten is discarded from the diet, the lactose intolerance will rectify itself. Also, after eliminating gluten from my diet, my neck and shoulder pain subsided, and my adult acne cleared up. I adore bread, pasta and pizza, so this was not some fad diet I jumped into. With that said, I will point out that gluten sensitivity is more common in people of northern European descent. While I believe the Bible was written for all peoples of every nation, there are references that are specifically to the Hebrews of the time period in which that particular book of the Bible was written, and I would think that for the majority of the culture, gluten sensitivity was not an issue. At the time I discovered I was gluten intolerant, I also started the South Beach Diet, and began eating more whole foods and less processed. I’ve lost 25 pounds and feel so much more healthy. That, I believe, is what God wants for me, and I am grateful to Him and blessed to be able to afford a gluten free diet. It’s not cheap. Thanks for sharing your story. You bring up a good point which I only hinted at in the article. I believe that since the coming of the Spirit at Pentecost, the people of God are now meant to be multinational. Of course, people could always join the faith prior to Pentecost, but this would also mean shifting one’s national allegiance to Israel. Today, the people of God are trans-national: the faith transcends all national borders and continues to do so as the gospel spreads. This is another reason why adhering to a strict “biblical diet” (i.e. only foods people in ancient Israel ate) is not only extremely difficult, but entirely unnecessary. We are not called, as Christians, to be identified as adhering to the ethnic and national markers of the Hebrews, but by our love and devotion to Christ. Wheat has been around for thousands of years. Like many other foods God created. It has been consumed during the history of the Bible. I certainly have never read that The Lord Jesus commanded us to abstain from “modern wheat”, or any other “modern food”. I do understand that there are better choices to make to look after our bodies, but not to distract us from what God really wants us to do. What I have read is that we are to give thanks for ALL our food. When our food is received with thanksgiving, God blesses it to our bodies, that is, He causes it to nourish our bodies, though through human intervention it may well be imperfect. While there are many people who are sensitive and allergic to wheat, and indeed many other foods, there are ways of dealing with these issues naturally. I do understand what you may be going through, but it can be dealt with, and largely fixed. I approximately six months ago was put on a strict gluten-free, dairy-free diet following an analphylactic reaction to antibiotics (following being bitten by a Horse Fly, which I reacted to and it got infected). My whole body just about went into an immune shut-down. I even lost 9 kilos through not being able to eat many foods, and those I did eat were going straight through me. However, I firmly believe that God created food for our well-being. It was a slow process. Before every meal that I ate during this recovery, I gave thanks to the Lord for the food He provided, trying really hard to appreciate how it came about – from creation of each plant or animal, to the way it was farmed, and ended up on my plate. I asked God to bless every single morsel I put on my plate. And He did. Praise God, I am now able to eat dairy, gluten, and every other food, except eggs (sunny-side up), and my pancreas doesn’t like too much sugar (as I developed Chronic Fatigue Syndrome, or Myalgic Encephalitis). However, I am continuing to use natural supplements (giving thanks to God for them), to help overcome these other food issues. I am content with my progress, I am thankful that I can eat such a large variety of food, and that most of my health has returned. I can now look after my husband with multiple ongoing health issues, and homeschool our four beautiful children. It is still hard, but with God’s help, I can do “all things through Christ, who strengtheneth me”. I think that rather than focusing on issues that New Age Health people have created to make us feel bad (and make money out of us), we simply need to “Receive food with Thanksgiving” and REALLY mean it. We need to not “worry about the food we eat”, our “raiment” (clothes) or anything else that God provides. All this distraction Satan is using to take us away from what we should be doing – serving God, and living for Him. Isn’t it sad that Satan can cause us to worry so much about things God has created, rather than worry about our need to serve God? He will do anything to take us away from what we should be doing. I don’t think that believers around the world who are being persecuted for their faith in Christ are as concerned as we are about insignificant issues as “modern wheat”, but rather they are more concerned about being faithful to God, even to the point of death. What do you think they would be thinking, if these persecuted brethren knew we were worrying about “modern wheat”, when they are being tortured and killed for believing on the Lord Jesus? What are our priorities? How are we going to redeem the time? I’m not one to argue with any of your information about diet. The point of the post is not to argue that God commanded us to be wheat-free or to stay away from modern wheat. That would be ridiculous. The point is to demonstrate that those who claim that gluten-free is UNBIBLICAL are incorrect. As I attempt to prove above, God has given us many forms of nourishment, including wheat, and therefore our attitudes ought to reflect that. It would be wrong to say, however, that God commands the eating of wheat for Christians around the globe. That is the only premise I’m trying to prove. Did you find my arguments unsatisfactory or confusing is some way? Hi I just discovered your site!! I think it is wonderful!!! I’m wondering what your thoughts are on Einkhorn? I’d be very interested!! Thanks!! God bless!! Good question. I know very little about Einkorn other than it is one of the earliest varieties of cultivated wheat on the planet. I also know it is district from other kinds of wheat for a variety of reasons, and in some sense more nutrient-dense. But I also know that someone with celiac disease would still likely have problems with it due to the gluten. Beyond that, I’m not very familiar with it. Thank you Luke. I did actually notice your research supported that God created wheat and other grains to be used for human food, and sustenance. I really liked your research and Biblical references that you supplied at the top of this post. I was (which I should have clarified) more pointing at some of the attitudes of some of the other bloggers, who referred to “modern wheat” and “modern water”, ALMOST implying it were not a gift or blessing from God. Your arguments were satisfactory and not confusing. However I felt that after reading some of the other comments it was like I almost felt guilty for eating wheat! I have heard this “no-grain” philosophy even from Christians. I thank you that you clarified that to hold to this is unbiblical. I also thank you for taking a stand that Mormons are different to Christians. They hold a very different gospel to the gospel of the Bible. But I don’t want to go into that, as this is about the gluten-free issue being un/biblical. In agreeance with your statement that God has given us many forms of nourishment, it is amazing that He has provided every culture and peoples around the world with suitable forms of complex carbohydrates, and the correct environments for them to be grown in, eg. wheat, rice, sorghum, millet, potatoes etc. It is good that you have set out to provide a ministry online for Christians to be healthy, to look after our bodies, and those also in our care. May the Lord God bless you and Trisha in this. We do need to always be vigilant in not allowing ourselves to be caught up in the webs of the New Age Movement, and their ever-changing distracting diet fads. 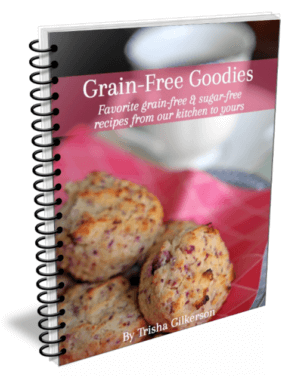 I noticed that there are many recipes for gluten-free cooking, for those who are gluten-intolerant, but could we also have some healthful whole grain recipes too? They are hard to find. 1. Some think I’m saying that grain–filled diets are “biblical.” No. I simply don’t believe the Bible prescribes a diet at all. It is one thing to say grain is a blessing. It is another thing to say we are obligated to eat grain. This is just not what the Bible teaches. 2. Some think I’m saying that grain–free diets are “biblical.” No. I think a grain-free diet is healthy, but certainly not prescribed by God. The Bible clearly says nothing about being grain-free. 3. I also don’t necessarily believe God has placed all cultures in places with the means to eat complex carbohydrates. Certain ancient cultures, the Masai, and the modern Inuits (at least until very recent years) ate almost no carbs. That’s really beside the point, however; since God doesn’t prescribe eating grain, this isn’t a problem for Christians at all. I certainly don’t want anyone to feel guilty about the food they eat for no reason. Empty and groundless guilt is an awful thing to feel. My family is gluten-free largely by choice. We feel it is a healthy way to live, and we certainly don’t want anyone to feel guilty about the food they eat without first having facts to base their eating choices. This is one of the reasons why we write on this blog: to educate and debate with others about the pros and cons of different diet choices. God has chosen our bodies as His temple. We just want to do the best we can to honor that. I understand your thoughts better with a little further explanation. Thank you for taking the time Luke, and doing the research and sharing your findings and thoughts with us! I thought you may enjoy this video: http://www.youtube.com/watch?v=SJvlrpEmORU it is about bread and a glimpse to how Jesus most likely viewed bread. Very interesting video. It is neat to see bread still made by hand in these cultures. Bread was undeniably the staple crop of many in the ancient world. Very grateful for your research and thoughtful defense of the many points presented in your article and the subsequent comments. I have been grinding wheat to prepare more nutritious food for my family for nearly 4 years now and have been struggling with the idea that wheat might be a “poison” of sorts. I must confess, I don’t want to give it up, but I believe it may be because I am battling the addiction your wife highlighted in other posts. Thank you both for your efforts. I also am so encouraged and grateful that you are lovers and followers of Jesus Christ and that you so boldy consider and communicate these issues in light of scripture. Thank for the kind comments Hallie! I’m so glad this series of posts has been helpful to you. You are CERTAINLY giving your family something much better for them by grinding your own wheat and making your bread at home. The decision to give up wheat can be a difficult one, for sure. I sure didn’t want to give up wheat! I pray that you’ll receive clarity on your journey to decide how best to proceed in this area. 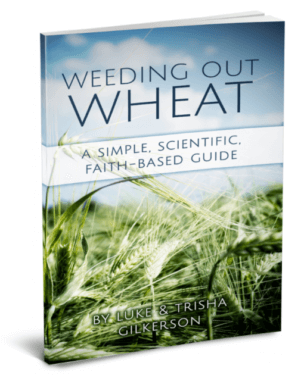 We are releasing a book very soon that will cover just this topic called- Weeding Out Wheat: A Simple, Scientific, Faith-Based Guide. So glad to find this article so I can point others to it! I plan to write my own of sorts when time allows and God directs. My husband and I struggled with this issue when we gluten free 4 years ago, and have since gone Paleo (for easy terminology only) after reacting to all grains and learning more. God told the Israelites not to plant 2 different kinds of seed in the same field (Lev 19:19) – I believe this may have been in place to prevent the kinds of hybridizing and modifications we see going on in modern times. Pretty fascinating. I agree that modern wheat isn’t what is used to be and that is isn’t very healthy for us. However, I am so sad that many Christians are latching on to gluten-free as yet another “holier than thou” routine. Learning about our health and growing as families who eat nourishing foods doesn’t have to be a thing that makes others feel uncomfortable. What a shame that once again Christian families are teaching others that they are better, their diets are better, and that for the outsider . . . they are not in the “in crowd” unless they follow suit. What is the balance? I’m only beginning to learn what that is for my family. Absolutely. The kingdom of God is not a matter of food or drink, but peace in the Holy Spirit. First century Christians dealt with the same troubles: one group claiming they are free to eat all things, another group still eating Kosher, each claiming some sort of superiority . . . and all over food. This post was written as a rebuttal to those who claim wheat-filled living or a “Biblical diet” is the best, most Christian diet. I’m strongly opposed to that notion. Of course, as you said, gluten-free folks should also not fall into the same trap. I trust you see I’m not trying to do that in this post. I too had this question(and interestingly enough,the wine one too…) when we discovered my autistic daughter showed drastic improvements in her speech and communication when we eliminated gluten from her diet. Then I read the gluten101 book on Amazon which details the extent to which wheat has been modified(200 Times more gluten than in the last 50 years!) And then the book states that many with celiac can eat ancient grains (like emmer wheat) without a problem. And it seems to me that,like so many things, wheat God created was “good”,until we began messing with it. It is an interesting thought, just how ancient wheat has changed. I’ve not read any actual studies about the impact of ancient wheat on our health, but if you know of any, please let me know. Have you spoken to the leaders at your church about the possibility of taking a gluten-free option with the body of Christ? I’m a pastor’s wife and found this post truly interesting. Since I make our communion bread (my recipe uses regular white flour, but I’ve substituted whole wheat when I didn’t have white), I’m wondering if you’d like to give us a recipe for grain-free communion bread? It’s a special delight to make the communion bread and knowing it is healthy would double the delight! I’ve been grain free for 1 month now. That’s fabulous that you have the opportunity to make communion bread. I’d be delighted to come up with a recipe. Might I ask what kind of bread you typically make for communion? Is it regular yeast bread? Or unleavened bread? Or something else? I’d love to try to come up with a recipe that is similar to what you area already doing. I think the whole no wheat issue is SO interesting. I was Paleo/ SCD for 2 years because I had a severe Crohns disease flair up, Paleo/ SCD diet certainly worked to get the digestion back in order. But within the last year I have been able to introduce more traditional (as in the old way of preparing food) foods without any problem. I do eat sprouted/ sourdough Einkorn wheat quite often with 0 bad effects. I think the main reason so many people have problems with wheat is because it is not traditionally prepared and SO much of it is GMO or so cross bred our bodies don’t recognize it. A lot of past traditions as far as food preparation goes have been lost since the invention of convenience quick foods. Certainly, traditional preparation and older varieties of wheat are better for you than modern wheat. I’m glad it has helped you. Our book, Weeding Out Wheat, talks some about this. While we think cutting out wheat altogether is nutritionally best, many who have problems with modern wheat do not have noticeable problems with traditionally prepared sourdough bread. Our concern about traditional preparation methods are that (1) many people still have noticeable digestive problems, and (2) those that don’t tend to only judge their body’s reaction to wheat based on digestive issues. Since wheat (even older varieties) is linked to other health problems, we wrote the book to help people be aware of our concerns. Thank you for your research. Since eliminating gluten I no longer have problems with bloating. Now 74, I had this problem most of my life. What is your finding on products that are gluten-free ~ rice products (breads, pasta, etc.)? Also, please comment on Grain Brain. And, what about coconut sugar, brown rice syrup and almond and coconut flour? Thank you again for sharing the results of your work. Thanks for the note. We tend to try to avoid the pre-packaged gluten-free products because they often aren’t very nutritionally dense. We opt more for homemade gluten-free goodies and use coconut flour and almond flour as our flours of choice typically. We use a lot of stevia for sweetener and some xylitol. If I am looking to use real sugar in something coconut sugar would be my choice. I’ve not had the chance to read the book “Grain Brain” so I can’t comment on that. I hope that the same man who claims gluten-free diet unbiblical also eats only “clean” foods (no pork) and also sanctifies the Saturday day according to Moses Law. But I would bet that these hypocrites only cut the verses from context to serve their opinions. What we can surely read from the New Testament is that food is not the point of worshipping the God. If you are convinced about necessity of GF diet do it, but I would not be fitting the diet into Bible. On the other hand is honorable that you are living your faith honestly. PS: Mormons are not Christians, that someone is using Jesus name in his texts doesn’t mean anything. Remember that even lord of the evil is disguised as the servant of light and next that they will be many false prophets using Jesus’s name. which we are no longer under, this is all covered under the BLOOD OF JESUS. I’m glad you found this post helpful. We go in much more depth in our book, Weeding Out Wheat, if you want a fuller treatment. Many things in the Bible are labeled as blessings. Marriage and children are blessings, but this does not obligate all to be married or have children. Wealth is a blessing, but this does not obligate all to be rich. Obligation does not follow from blessing. The same can be said of wheat and bread. Yes, the Bible speaks of wheat and bread as blessings from God. But this speaks to our attitude, not our obligations. 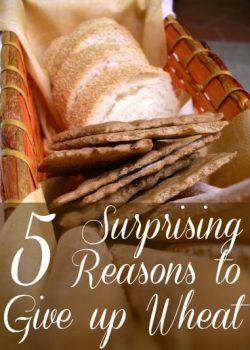 Putting it another way, we can wholeheartedly affirm that God calls wheat a blessing, but if we conclude from this that those who don’t eat wheat are failing to live up to God’s standard, we have taken things too far. To make all blessings obligations misreads the Bible. To clarify, there are many reasons why the Bible might label wheat a blessing that have nothing to do with nutrition. Bread can fill a man’s stomach, satisfying his hunger and give him energy (Psalm 104:15). Wheat is a robust crop, widely available and able to be grown in a variety of climates. Products made from wheat are also satisfying in taste and texture. Any or all of these factors could make wheat a blessing, but we should not feel the need to interpret the Bible through the language of modern nutrition. Keeping these two principles in mind means we can still call wheat and bread blessings like the Bible does but feel no obligation to eat it or claim it is the best for us nutritionally. I really liked this post, it was very balanced. It can be really tricky to explain to someone why you might consider a change in diet preferences, this is especially the case for someone like me who follows the Messianic branch of the faith. The Biblical feasts are quite key but over the years I have learnt ways of working around this, and know that this doesn’t negatively impact my spiritual growth or relationship with God. I also find that although people can say one thing now, if they are in the same situation the reverse is often found in action. Nice post! Sounds like you are right in alignment with our book, Weeding Out Wheat. I too have loved celebrating biblical feasts over the years. I’m curious, and my questions and opinions are posted here in a genuine manner. I only say this to qualify I’m not being snarky here. 🙂 When did and why do people get so hung up on things like “Is wheat/gluten biblical/not biblical?” Aren’t we as Christians past all these nit-picky rules? Are we supposed to be so legalistic? As long as we are always striving to live a Christ-like life, always doing our best to have the utmost relationship with Him, then why should we allow ourselves to get hung up on legalistic questions about our diet or (I’ve seen this conversation too and it shocked me) products we use in our home? I wonder if too much Calvinism/reformed tradition has snuck back into our lives. To me, being a good Christian is about relationship not rules or works. I don’t disagree with the spirit of your question. I wrote this post precisely because I got so many questions about it. For me, personally, this was never much of an issue, aside from being a quirky theological question. But then I started hearing from more and more Christians who honestly felt that going gluten-free was choosing God’s “second-best” for their lives, and it really bothered me to see so many hung up on it. Thank you. I don’t like seeing so many hung up on issues like this either. While I wouldn’t presume to know what God thinks, I would like to think He wouldn’t say a person was choosing His second best if they needed to make those choices for health reasons. I think it is Biblical to treat our bodies well. Wonderful article, thank you for taking the time to delve into this topic. My daughter and I have been gluten free for nearly a year (my husband is very resistant to the idea). 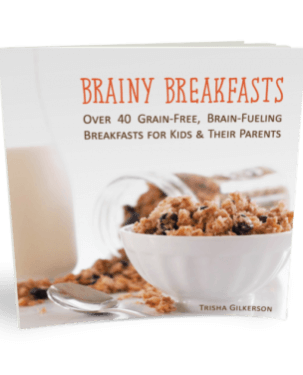 I noticed that when I “cheat” and have something with wheat in it I am very ill. My decision to go gluten free stems from reading the book “Grain Brain”, which goes into other aspects of why modern day wheat is so very bad for the body. My church does offer gluten free bread for those who have celliac or would just rather not consume wheat. I do have to say that store bought gf bread is rather awful, so out of self defense I make our own. This way, I can also control what goes into it. Our church has started offering gluten-free bread as well, and that has been quite a relief to us. The communion bread I make is “unleavened” and like a cracker. However, it does have a tiny bit of baking powder. The ingredients are flour, butter, sugar, baking powder, and enough milk to make a dough. I never read either books, and was just wondering about oats? or Barley? Is there gluten in all grains?? or certain ones? Sorry for not knowing much.. I am really busy at this time.. and haven’t been able to read much about this.. my friends are on a gluten free diet.. Typically, when people say they are “gluten-free” they mean they are trying to avoid the gluten proteins that are found in wheat, barley, and rye. Those with gluten intolerances or sensitivities do not necessarily have problems with corn, rice, oats, flaxseed, or other grains. Each person is different, so I would ask your friends what they can and cannot have. 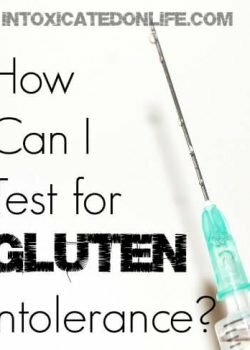 I am a pastor in the ELCA church and I was diagnosed with celiac just a year ago. As a pastor I struggled with the reality of blessing communion and not being able to take it. I have since learned the issues of cross contamination while serving both gluten and not gluten bread or wafers at the same time, with the same hand or on the same plate. It is hard to believe that the table of the Lord can make me sick for 5-7 days. I understand through seminary and experience that God does not turn God’ head from those of us taking rice crackers, but it does make me feel separate. Todays’ Wheat is not what God intended, so i am currently working on a teff/rice communion bread for all. Teff because it is healthy and has a special place in my heart as i worshiped in Ethiopia with Ethiopians, and rice because it is what most of the earth eats. Excellent idea. There’s a sense in which the “one loaf” is important to demonstrate the unity of the body of Christ (1 Cor. 10:17), though that is more of a description of what the early church did, not necessarily a prescription for how to handle special cases today. I think it is a great idea to find a way to have everyone eat from the same plate and maintain your health (and possibly the health of others in your congregation). Bravo. Yes! This is so true. I’ve been reading more and more about these chemicals. While it may be the gluten or the phytates for some, others may be reacting more to the chemicals. Great point. Wow! I just finished reading this article *and* all the comments (some good links were shared by people – love it). This was one of the most thoughtful bunch of people I have ever seen responding to a blog. Most comments on blogs range from ridiculous to grounded to way out there/vitriolic. I enjoyed all of these comments and thoughts. And might I add, Luke/Trish, that you guys are amazingly level headed. It is a pleasure to read what you write. May the Lord give us all wisdom as He has given you. And may you continue to be a calm voice in the storms of life. Maybe this has already been said but could it be that we have not eaten wheat in moderation? The Bible tells us to avoid all extremes. Americans eat so much wheat, red meat and sugar. Could it be that our bodies are reacting to an overabundance of wheat rather than the wheat itself? I believe as generations eat too much of something their children can develop issues tolerating it. Or, that anything that’s not in moderation can cause a ripple effect that can have another health consequence. While I can agree that wheat has changed or compromised I’d like to think that God is big enough to sustain us or even make our bodies adaptable in this fallen world. I hear that wheat is compromised and that so are carrots and everything we eat. This troubles me that I can’t just rejoice about my plate of food and have to feel concerned about God’s lack of provision for me. Yes, I know God gives man authority over this earth to bless or destroy it to some degree, but as I have to trust air I breathe (within reason) I need to trust my food. The problem is man’s greed more than the nature of a wheat berry. I’m not saying you had this motive but there is no end if we begin to fear everything. I think if we eat things in moderation and do all things this way we will live well. I do believe that some people’s bodies have developed dangerous reactions to (and by all means I implore them to avoid) wheat and other foods, etc.. I know some only have mild issues like I do. I know, too, that prescription meds and recreational drugs and other lifestyle habits can also compromise the way we tolerate foods. I say let’s not blame the food (again, within reason) so much as to rotate it and not make it into some sort an overindulging obsession — like America has done with wheat! Thanks for a great read and for having such a gracious attitude towards people. Hey BC’sgirl. I see what you’re getting at, yes. You said, “I’d like to think that God is big enough to sustain us or even make our bodies adaptable in this fallen world.” No doubt God is “big enough” to do that, but we know he’s not chosen to do that. After all, we still get sick and still die: he has not chosen to protect us from the basic deterioration and decay caused by the curse of sin. Undoubtedly, He has given us the ability to learn about the natural world and make use of wisdom that will help us become healthier, but its precisely our investigation of modern wheat that shows us why it is unhealthy for us. Let me posit a scenario that might help us to think differently about this. People often love eating grapes, and the Bible speaks favorably about eating grapes (Leviticus 19:10; Deuteronomy 23:24). But let’s say 100 years ago, a malicious farmer decided to using harsh chemicals, gamma rays, and X-rays to mutate grape plants into something that still looks and tastes like grapes but is actually very different—something harmful to us. Then, let’s say those mutated plants started to be used by vineyard owners all over the world, to the point where now you can hardly find a non-mutated grape. While we might lament the loss of grapes of yesteryear, to disregard the warnings about these mutated grapes would be seen as foolish. That is essentially what has happened with wheat today (minus the “malicious farmer”). Only unlike grapes, wheat is a part of a LOT of the dishes we eat. No doubt, as you said, eating today’s wheat in moderation is probably better than gorging ourselves on it every day, and no one dies from eating a single doughnut or pizza. Furthermore, the goal of this article isn’t to make you feel guilty for enjoying the foods that bring you joy. Rather, the goal is to help correct some bad theology: the ridiculous notion that God “endorses” a wheat-filled lifestyle (least of all today’s wheat-filled lifestyle). I do not believe that gluten-free is “God’s plan.” I believe there are many factors that play into the wheat epidemic since there are also other things many people cannot eat today (dairy, eggs, nightshades, etc). GMO’s, hybridization, glyphosate, processed foods, white sugar, not enough plant foods, not enough variation, not enough fasting, not enough gratitude, not enough exercise and connecting with the earth/creation can all play a role in how our temples receive and break down sustenance. I believe we are so out of balance and ignorant when it comes to the ancient path. We listen to too many “experts” on nutrition and health that we really have no clue how to live and eat. Most of the issues people have today didn’t exist before the industrial revolution. Most people were family farmers and didn’t use the nasty chemicals and methods used today. They didn’t have GMO crops subsidized by the gov’t or use farming methods that leave the soil stripped of nutrients. Forty percent of food in this country is thrown out because the gov’t won’t allow farms or grocery stores to give to the poor. Everything is being pushed toward the corporate/consumer world and we have lost touch with what real, organic, home-grown food looks and tastes like. All this plays a role in how our bodies have continually declined in strength and adaptability. Ancient wheat, like einkorn, is definitely on the dinner menu in the bible and ancient cultures. It is we who have destroyed our ability to eat all the wonderful foods that God has provided for us on this earth. By stating that gluten-free is best is saying that God doesn’t know what He’s doing and that we know better. This type of thinking leads to all the things I just mentioned. Turning back to His ways of living will be the only thing that saves us from completely perishing on this earth and will give us our health and true longevity back. Elizabeth, thanks for the comment. First, we’re not saying gluten-free is “best.” Clearly for many people it is. I agree that food has sadly become very industrialized, overly processed, and genetically modified and that einkorn is better than modern wheat (we say as much in the article). But what you’re saying about the Bible runs contrary to the very principle we’re teaching: the Bible is not making nutritional claims at all. The great thing is, is that there are no longer any dietary restrictions according to God’s word. “Don’t you see that nothing that enters a person from the outside can defile them? For it doesn’t go into their heart but into their stomach, and then out of the body.” (In saying this, Jesus declared all foods clean.) He went on: “What comes out of a person is what defiles them. For it is from within, out of a person’s heart, that evil thoughts come—sexual immorality, theft, murder, adultery, greed, malice, deceit, lewdness, envy, slander, arrogance and folly. All these evils come from inside and defile a person” (Mark 7:18-23). I would have to say that’s not quite right, Sheba. All foods were declared ritually clean, but not all things were declared as food – a big difference. Scripture indicates what food is (particularly when it comes to animals that can be eaten). The argument that the authors of Scripture didn’t consider unclean animals “food” doesn’t really make a lot of sense. In Romans 14, Paul uses two related Greek terms for food: βρῶσις (brōsis) and βρῶμα (brōma). These words simply refer to the act of eating or to that which is eaten. Even the LXX (Greek translation of the OT), which Paul routinely quotes, uses the same words in a generic way to refer to anything that is eaten—even things that are considered unclean (Judges 14:14; Ps. 73:13; 78:2; Jer. 7:33, 19:7; 41:20; Lam. 4:10). We can’t simply define away the question about dietary laws by saying unclean animals aren’t “food.” The authors of Scripture don’t define the word so narrowly.